The Electrology Institute of NE, a division of EINE Electrology/Esthetics Institute of NE, has been under the same management since 1987. 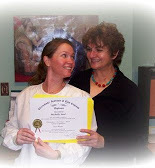 The Institute has distinguished itself by dedication to training excellence in the field of permanent hair removal. Our graduates go on to open successful businesses throughout the United States. They are a constant source of referrals for our school and for which we are very proud and grateful. Joy is the by-product of a meaningful life. Doing what you do best and looking for ways to serve others opens the gateway to joy and self-respect. Electrology Institute of NE is a nationally accredited career-oriented educational institution dedicated to excellence in the teaching of permanent Electro-Epilation and Skin Care - the Science of Results. Our goal is to provide high standard classroom and hands-on clinical training, which will enable graduates to start a rewarding career in the field of electrolysis and esthetics.